How Does Voter ID Law Compare to Other States? When Texas voters are asked to show a photo ID at the polls in January, they will join voters in 29 other states that have adopted voter identification requirements — but only six of which require photo identification. The Legislature passed the controversial requirement during the regular session that ended in May. Because of Texas' history of racial discrimination, section 5 of the federal Voting Rights Act gives the U.S. Department of Justice or the federal courts the authority to review laws that would affect voter participation before they are enacted. Before the change in law, Texas voters could show a voter registration certificate or another document, such as a utility bill, that listed their name but didn’t necessarily have a photo on it. Luis Figueroa, staff attorney for the Mexican American Legal Defense and Educational Fund, said the Texas Secretary of State sent the U.S. Department of Justice its petition for pre-clearance on July 25. The agency could receive the department's report by late September. The state attorney general's office will likely not become involved in the process unless the federal government challenges the legality of the law's new requirements, Figueroa said. The law in Texas didn’t change easily. In 2009, the matter led to a legislative meltdown that killed not only the voter ID measure but hundreds of other bills, too. The issue divided Republicans and Democrats. Republicans said the stricter requirements would ensure integrity at the ballot box. Democrats said there is little or no voter fraud in Texas, and the bill would make it harder for minorities, the poor, the elderly and the disabled — those who are less likely to have driver's licenses — to vote. The debate here mirrored the discussions of lawmakers in other states, said Jennifer Bowser, senior fellow at the National Conference of State Legislatures, a non-partisan group that monitors legislative bodies nationwide. Indiana and Georgia were among the first states to adopt voter ID laws, in 2006 and 2007, respectively, after contentious partisan debates. “One side says they are counteracting voter fraud, the other says there is not enough widespread evidence to support these claims,” she said. So how does the Texas voter ID law compare to other states? Only six other states, like Texas, have a strict photo requirement: Georgia, Indiana, Kansas, Wisconsin, South Carolina and Tennessee. 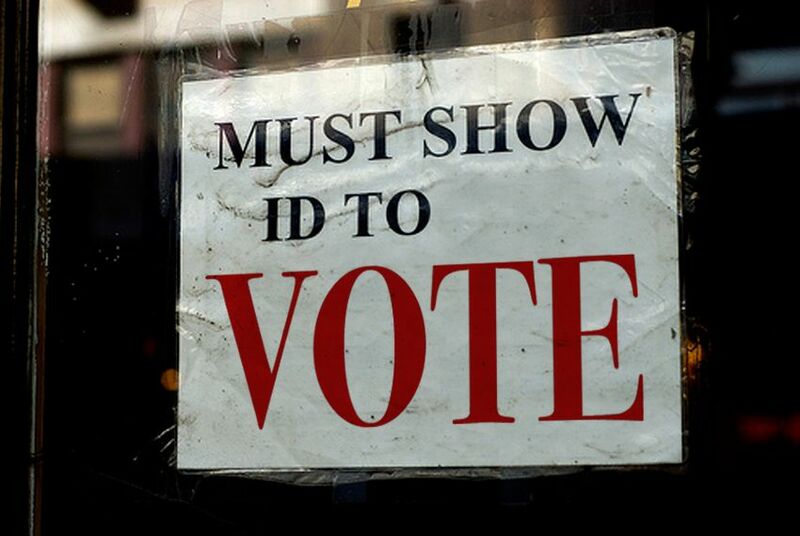 Seven states — Alabama, Florida, Hawaii, Idaho, Louisiana, Michigan and South Dakota — ask voters for photo ID, but still allow them to cast a ballot if they don't have a photo ID and can meet other specific criteria. Sixteen other states require voters to show some form of ID, though not necessarily with a photo. “The law puts Texas in the group with Indiana and Georgia, which I would categorize as fairly strict,” said Doug Chapin, an elections expert at the University of Minnesota's Humphrey School of Public Affairs. Despite fears that voter ID would lead to disenfranchisement, Chapin said there is little evidence that many voters actually lack ID. “In the Indiana case that made it to the U.S. Supreme Court, for example, opponents of the ID law were unable to produce a single individual who lacked the proper ID,” Chapin said. Hans von Spakovsky, senior legal fellow at the conservative Heritage Foundation, said other states that passed voter ID laws have seen an increase in voter turnout and have not experienced the negative effects those who oppose it had expected.